Women’s Care is here with you every step of the way. Miscarriage can be an emotionally traumatic event, and at Women’s Care we strive to support our mothers who are challenged with miscarriage in a caring and empathetic manner. Symptoms of miscarriage can include bleeding and cramping in early pregnancy. Diagnosis is made by repeated ultrasound and blood work. Treatment can include expectant management, medical and surgical therapies. Please call to make an appointment with a Women’s Care doctor about your concern with miscarriage. Learn more about early pregnancy loss. 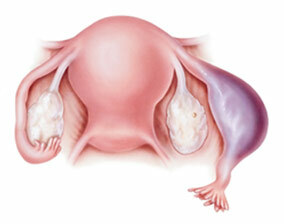 An ectopic pregnancy is a pregnancy that occurs outside of the uterus. This life threatening condition develops early in pregnancy where fetus grows outside of the uterus, usually in your fallopian tube. Symptoms include pain and bleeding in early pregnancy. Diagnosis is made by bloodwork, exam and ultrasound. Learn more about ectopic pregnancy.